Greater flexibility in design and structural layout. No need to use shock absorbers and flexible nozzles. 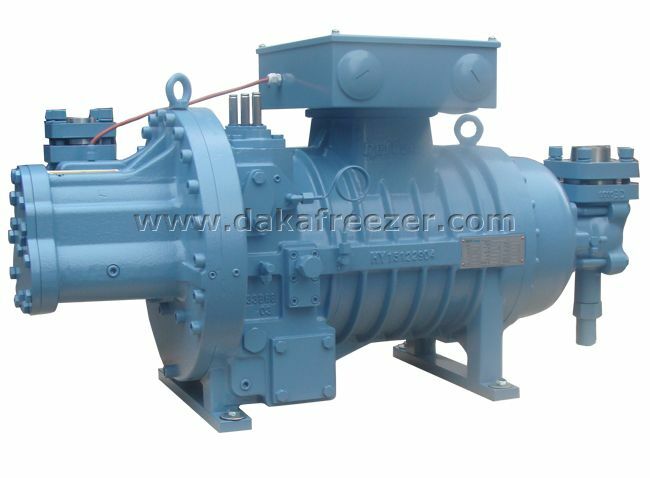 Have high compression efficiency under partial load. 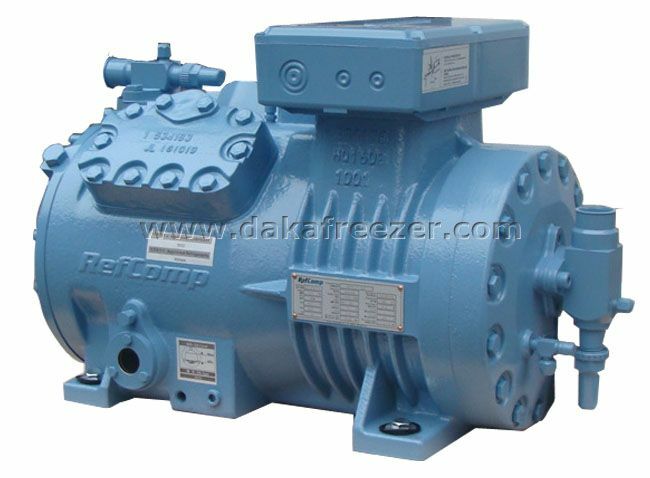 RefComp SW semi-closed screw refrigeration compressor SW3H and SW3L are 28 models, with displacement of 118~700m3/h (@50hz) and power range of 30HP~240HP. 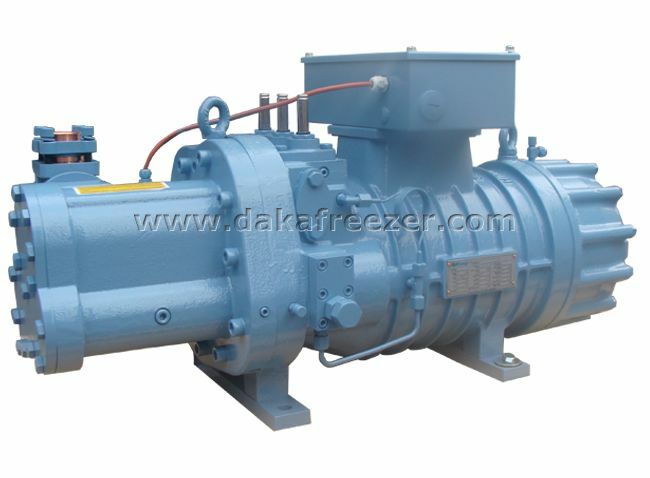 SW3H, SW3L respectively applicable to the field of high temperature and low temperature refrigeration, the minimum can be applied to - 50 ℃ low temperature conditions. 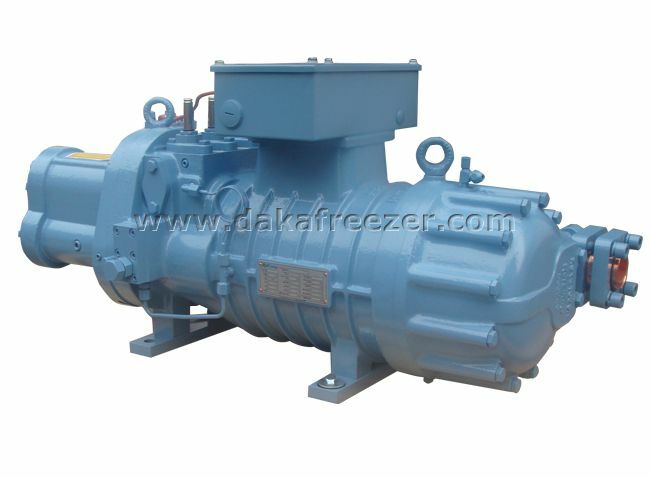 It is applicable to various kinds of fluorine refrigerant such as R22, R507A and R404A. 5.Multiple bearings are combined and matched to avoid rotor axial/radial wear, high load and low noise. 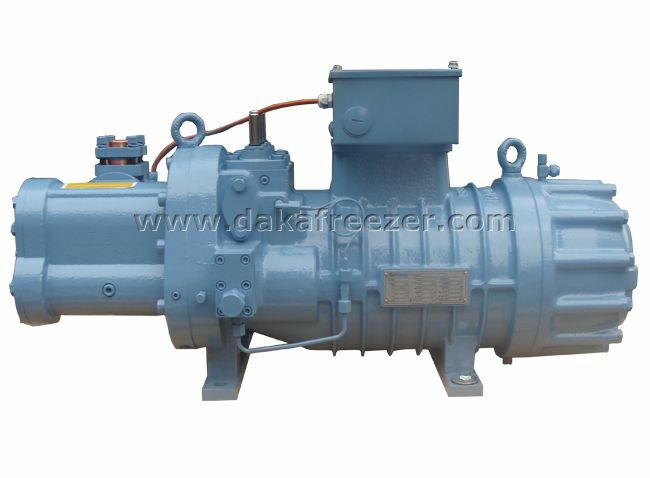 9.Low suction/exhaust valve can be 360 ° rotation, installation is simple and flexible.